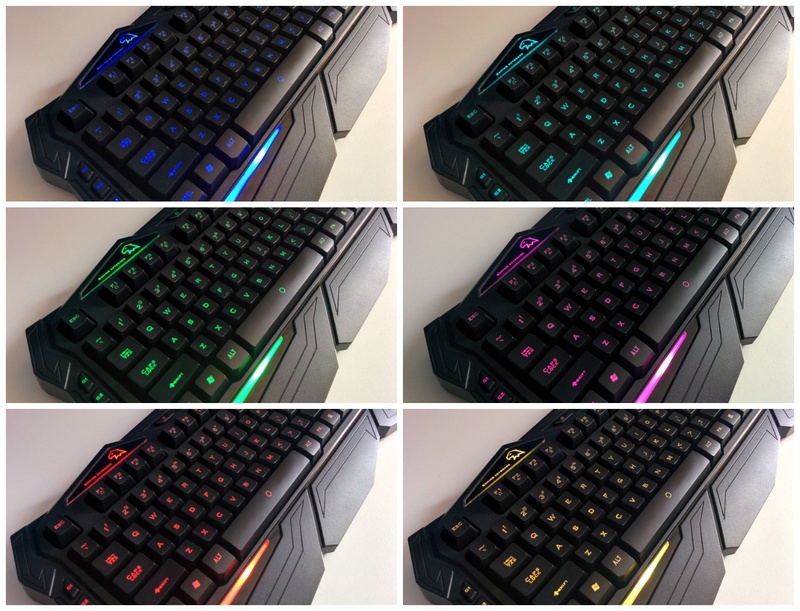 The WFIRST X9 is a wired gaming keyboard featuring LED backlit keys with 7 colours and programmable macro keys while maintaining an attractive design. 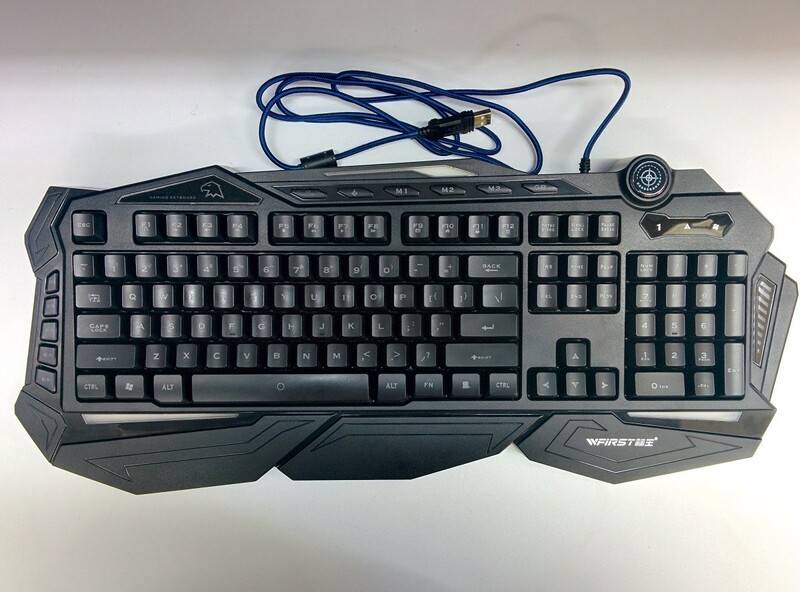 With a wide range of gaming keyboards currently on the market, I decided to pick up a gaming keyboard from a Chinese company known as WFIRST to see how well it performs. Initially I was concerned about the build quality of the keyboard, but I was surprised after using it. The first thing you will notice about the WFIRST X9 is the design of the keyboard. Most keyboards share the same rectangular design, but not this one. There are a lot of triangles and edges pointing out that I think really gives it a wow factor and helps to make it more ergonomic. WFIRST have included wrist support in the design so that your hand sits comfortably while using it. Something that is not commonly found in most keyboards are the 3 holes on the bottom to drain any liquids that have been spilt. This is a very useful feature and I wish it was standard with all keyboards. The keyboard is made out of ABS plastic which feels solid and it sits comfortably. I was expecting it to be flimsy and potentially break after a good thrashing, but it’s managed to hold itself well after a month of use. 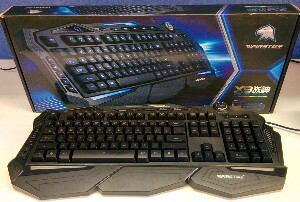 It measures 545mm x 220mm x 50mm and weighs only 1.03kg which is lighter than a lot of other gaming keyboards I’ve used. The keyboard is powered by a gold plated USB measuring 160cm that is braided to prevent damage to the cable. 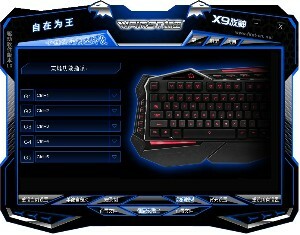 The WFIRST X9 features 115 LED standard keys with what appears to be silicone padding. It would have been good if the keyboard was mechanical, but if it was I doubt that it would have Cherry switches. The keys themselves feel good and are tactile without sticking. All of the keys are very quiet except for the spacebar that has a louder click sound for some reason. I’ve found that a lot of spacebars in other keyboards like the Logitech G910 and G510 aren’t very secure and will wobble if you touch each side. This isn’t the case with the X9, it’s very stable and doesn’t wobble which is great for playing a lot of games like Just Cause 3 with a lot of jumping. Each key is LED and the colour can be changed with a press of the button. The keyboard features 7 colours, white, blue, cyan, green, magenta, red and yellow. 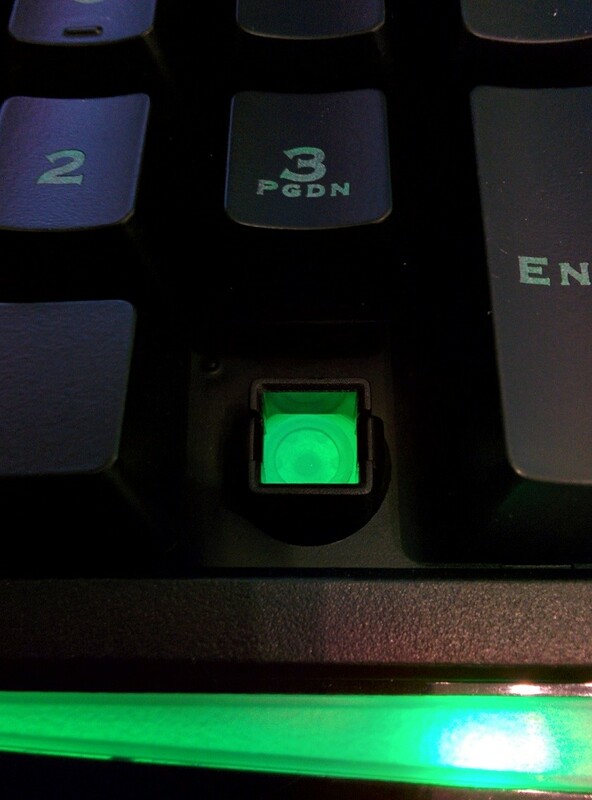 There is a knob that can be turned to increase and decrease the brightness of the colours on the keyboard. All of the colours change on the keyboard except for the num lock. caps lock and scroll lock light as they stay blue. 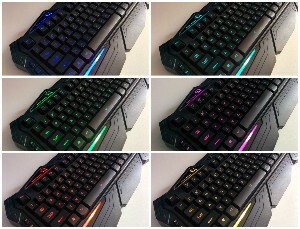 To help with gaming, there are 5 programmable keys and 3 profiles to provide a total of 15 programmable keys. A button to lock the Windows key is included as well to prevent any accidental presses during gaming. There are 8 multimedia keys that can be activated with the FN and F1-F8 keys. The last 4 F keys include shortcuts to open Mail, goto Desktop, lock PC and open the calculator. The calculator button is one I found to be particularly useful while working. Unfortunately the software is the weak part of this keyboard. By default Windows will detect it as a gaming keyboard and will install generic drivers to allow you to change colours, but the software is needed to use the programmable keys. A disc is included with the drivers and software for the keyboard. Fortunately the options are straight forward and if you’re really stuck, you can use Google Translate. If that’s still too hard then there is a button on the keyboard that can record macros on the go. As I don’t normally use macro keys this isn’t much of a problem for me. The good part about the software is that the lights on the keyboard will turn off automatically if it hasn’t been used for a while. All you have to do is press a key and it will light itself back up. 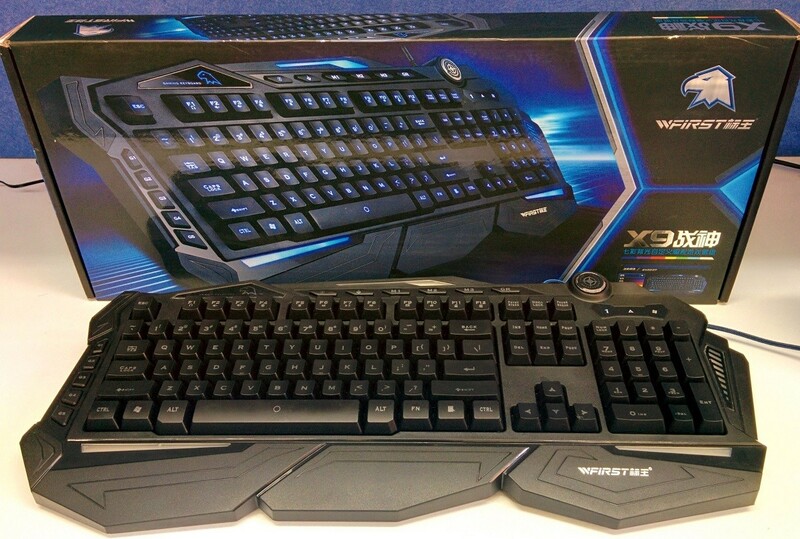 The WFIRST X9 is a great gaming keyboard if you’re after something that isn’t mechanical with an attractive design. 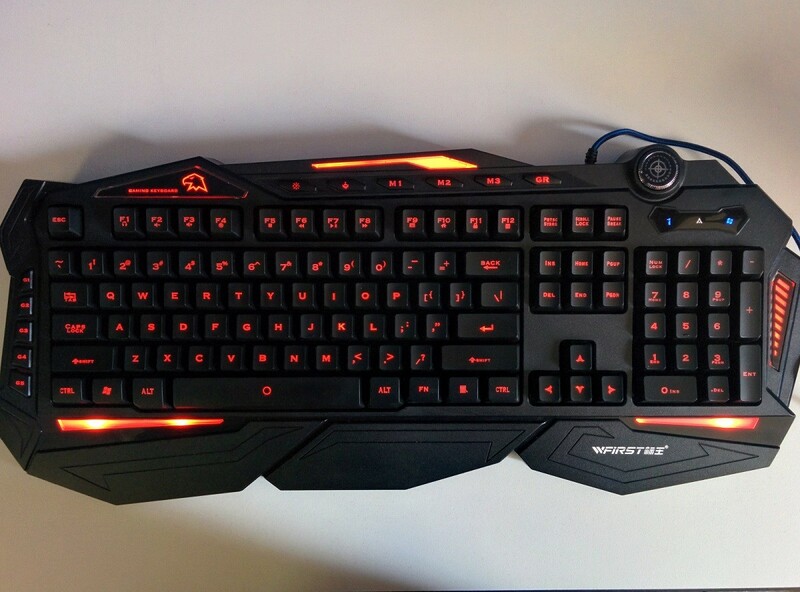 The overall quality of the keyboard is high and it feels very solid while gaming. I think the option to change the colour and brightness of the keys adds the extra touch that makes this keyboard so much better. 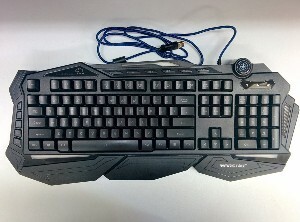 If you frequently use programmable macro keys then this keyboard isn’t for you as the software is in Chinese. Overall I’m satisfied with this keyboard and I’d definitely recommend it. I’d like to thank Geekbuying for sending me the keyboard to review.